However, what should also be mentioned and should be remembered that not all Liability Release Forms make an impression on the state law or jury. The enforceability of it depends on the language used in the form. 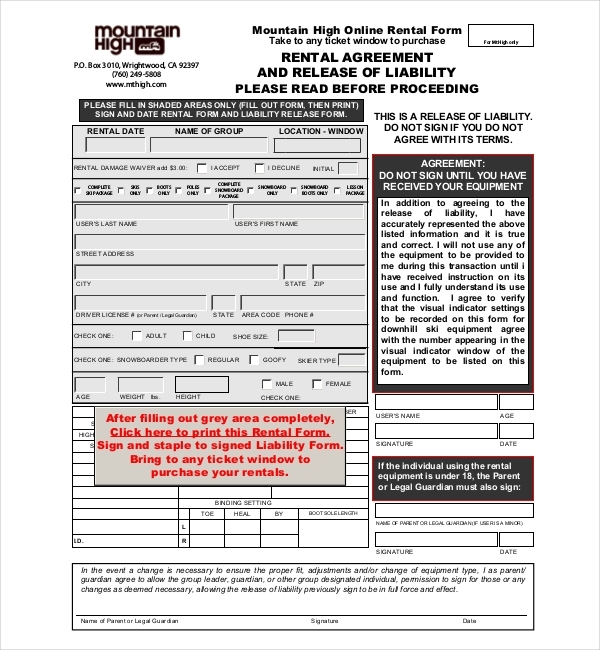 The form declares that in case the equipment should suffer any damages while in possession, the person is is going to be fully accountable and thus will have to make full payment for the repair or replacement of the same. A liability is prepared usually based on the scenario it is going to be used for. Often, the language used in a form plays a crucial role in whether a form goes through or not. The nature and enforceability of any liability form are influenced by the laws of the state or country in which it has been made and signed in. 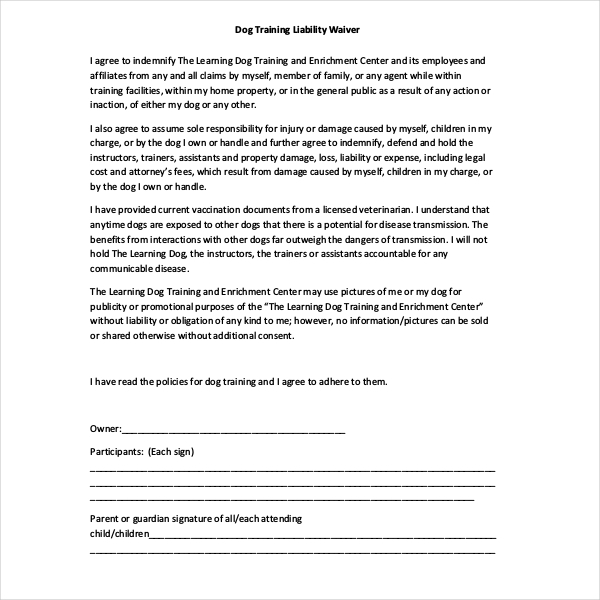 The organizers make it a point for dog owners to sign on the dotted line of a liability form, so that owners are aware that in case any untoward incident with the dogs involved, the organizers do not take responsibility. 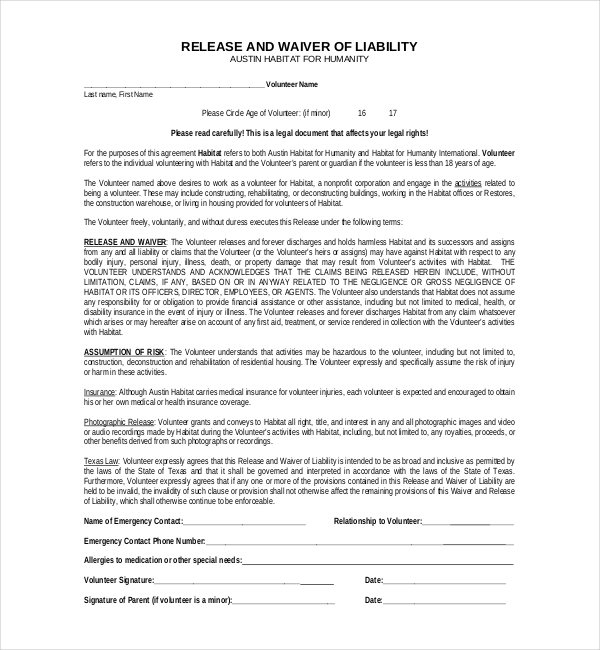 A daycare liability form highlights the scenarios under which parents provide full consent to the authorities to take care of the child. Terms and conditions are also listed out with scenarios in which the parent would be responsible for the child. Organizers make it a point for hunters to sign on liability release form. 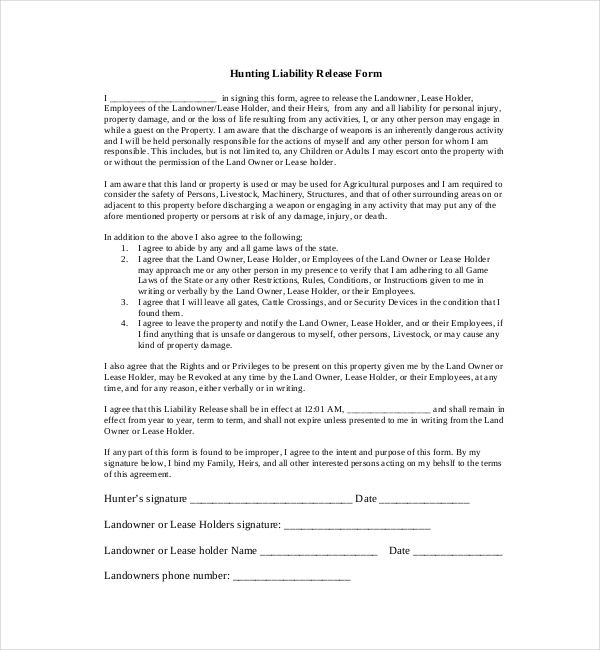 A hunter is advised to speak to an attorney before signing as the terms and conditions are likely to have an effect on the hunter’s legal rights. 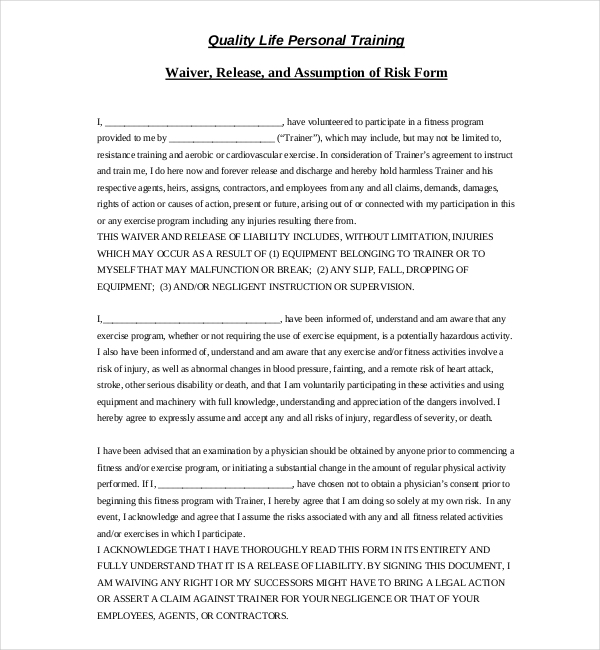 Prior to taking up a personal training session, clients must sign a liability release form, such as the example shown here, which specifies guidelines of equipment and premises use, and how the services provider is not responsible for any losses or injuries incurred during a session. 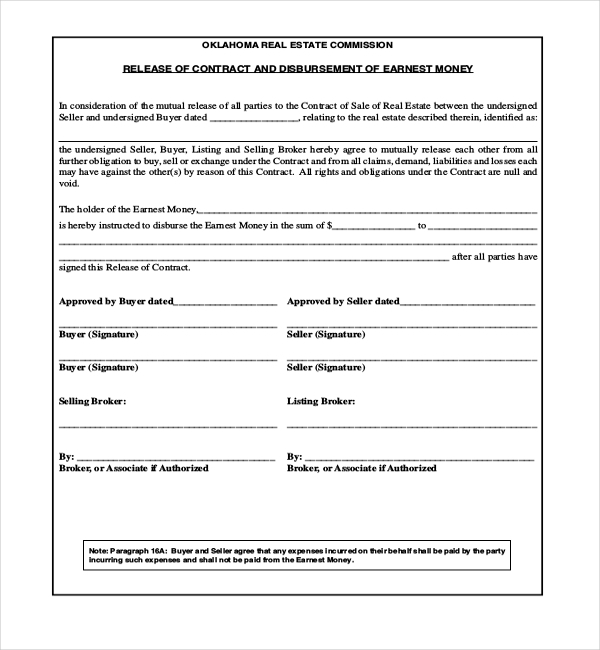 This form must be duly explained, signed and dated. All of the conditions written in the form provide a layer of protection to the company and individuals involved. 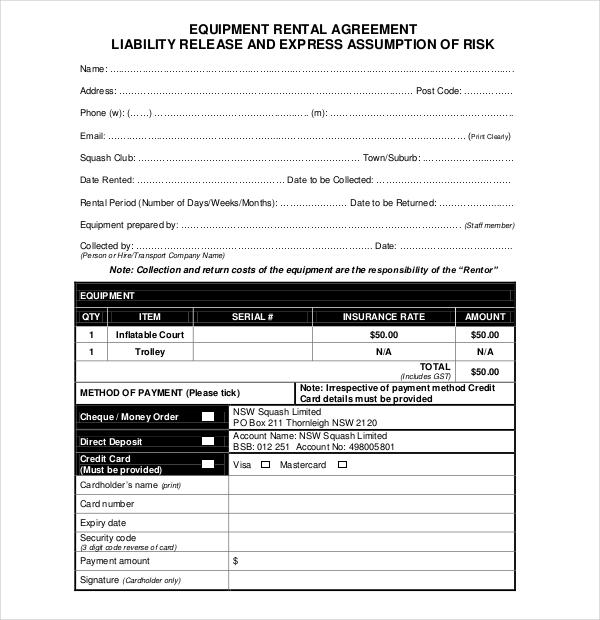 This type of liability form is signed on by customers who take rental services or rental equipment for use. 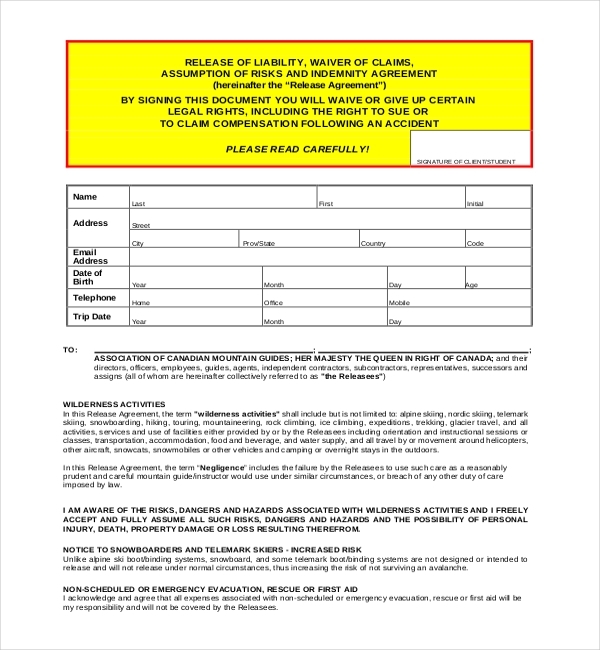 The form stipulates terms and conditions under which the customer would be held responsible for his actions.